Packaging can make or break a product. It can take something ordinary and make it so much more fun to use and interact with, purely through form. This project is a great example of how that can play out in real life. Here, we have a selection of flavoured honeys which while interesting, we may expect to be packaged in the usual jars or squeeze bottles. Instead of sticking to the norm, Meia Duzia packages them in aluminium tubes, similar to oil pants. Packaged in triangular packs, these can then stack together to form hexagons – the shape of honeycombs. How could you not have fun and enjoyment using a product like this? This entry was posted in Design and tagged Design, Honey, Packaging on August 31, 2016 by stellenboschacademy. What a cool idea from Act Normal! In order to launch the new adidas originals range, NMD, they created interactive cubes throughout Europe. Place in public spaces, these not only acted as digital billboards for the new adidas range, they also allowed people to interact with each other from city to city in real time. Not only was the idea fun and exciting, it did incredibly well for the brand too – resulting in one of the most successful launches for adidas to date. Have a look at the case study video below! 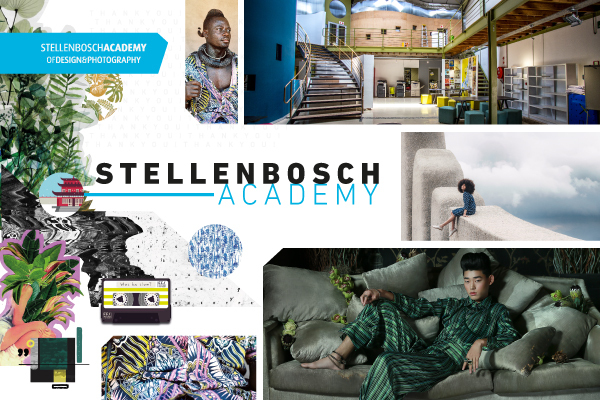 This entry was posted in Multimedia and tagged Adidas, Multimedia, Out of home on August 29, 2016 by stellenboschacademy. Do you like it when photographs make use of vanishing points? If so, you’ve come to the right place. This photo series by Manuel Alvarez Diestro pays homages to the bridges of Seoul. By paying such close, often perfectly symmetrical, attention to these feats of engineering and architecture, we are able to truly appreciate these structures. While they themselves may not be beautiful, photographing them in this considered way helps us to see how much work into them, and appreciate their function. Stark, considered, brutal – these are a lovely set of images. We do strongly suggest you look at Manuel Alvaraz Diestro’s site though as you’ll be able to see this selfsame aesthetic applied to a number of other subjects. This entry was posted in Photography and tagged Architecture, Manuel Alvarez Diestro, photography on August 26, 2016 by stellenboschacademy. Stellenbosch Academy Students design signage for the Cape Town Mini Maker Faire. Our Graphic Design 3 subject group has just completed an indoor way-finding system for the 2nd annual Cape Town Mini Maker Faire. This event, held on 26-28 August will bring together makers from across Cape Town at the Cape Town Science Centre to meet with and inspire each other. From the original twelve teams involved in the project, two were chosen to complete the signage systems. Saffron Shaw and Ashley Fraser tackled the outdoor signage, while Lhente Strydom and Ashley Wallendorf took on the indoor. These formed part of larger campaigns that were originally presented, which will be on show when our student portfolios go on exhibition on 16 November. This entry was posted in Academy Work and tagged Cape Town Mini Maker Faire, Stellenbosch Academy, Student Work on August 25, 2016 by stellenboschacademy. Joshua Anderson is a young photographer from Texas who has a great eye for images. Blurring the lines between portraiture, fashion and surrealism, he is carving out a space that is all his own. His portraits have such a nostalgic, soft feel while at the same time when you look at his fashion work, it becomes angular and intense very quickly. Amazing stuff! Here we’ve shared just a taste of his work, but you can see more at his site. And we suggest you do! This entry was posted in Photography and tagged Fashion, Joshua Anderson, photography, Portrait on August 24, 2016 by stellenboschacademy. Carmen Frontera is a Spanish illustrator who creates not only fun, whimsical images but also turns them into gifs. Just a few frames end up adding so much life to her illustrations, taking something that is already fun and just turning it up to 11. While it can be difficult to get your name out there right now with the entire world being flat, technology has allowed us as creative people to find so many new ways to enhance our work. Just ten years ago, an illustrator like Frontera would probably not have had the chance to animate her illustrations in this way. She would have had to go the more traditional route, which is static and harder to share with others. By creating gifs, like she has here, she’s taking her art and making it shareable. These now become pieces of content that others can share with each other. In this way, Frontera has give herself the opportunity to reach so many more people. It’s incredibly smart, and the illustrations themselves are great. If you’re an illustrator, have YOU considered how you could add simple animations to turn your works into gifs? This entry was posted in Illustration and tagged Carmen Frontera, gifs, Illustration on August 22, 2016 by stellenboschacademy. Ladies and Gentlemen, we are proud to announce that we won THIRTEEN Loerie awards this weekend. To all of our students who got finalists and those who won – well done! We are so proud that you are flying the flag of the Stellenbosch Academy so high. Something tells us that with this crop of students, these won’t be the last Loeries they win either! We foresee many long, industrious and awarded careers in the future! Take a look at all of our winners below. This entry was posted in Academy Work and tagged 2016, Loerie Winners, Stellenbosch Academy on August 22, 2016 by stellenboschacademy.